Hey Brides-to-be, I just have to share this with you! 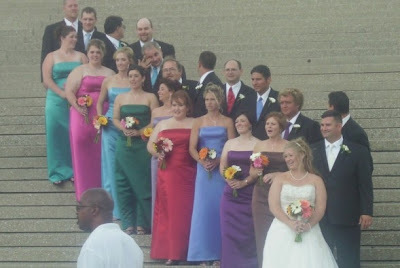 I was at the arch about a week ago and saw the coolest looking wedding party. There were about 9 bridesmaids and 9 groomsmen and they all had different color dresses and the groomsmen matched the bridesmaids dresses. I thought it was so neat! Also, the bride had picked Gerbera daises and they looked so good with dresses she had chosen. See the fun picture below! Note: I don't know these people, I just took the picture because I thought the wedding party looked awesome (that is also why no one in the pictures is paying attention, they had no idea I was even taking the picture). Yeah, and the fact that there is a random guy in the forefront. Although, I always have to wonder...if you know you're gonna have a strapless dress, why lay out and get all those tanlines? 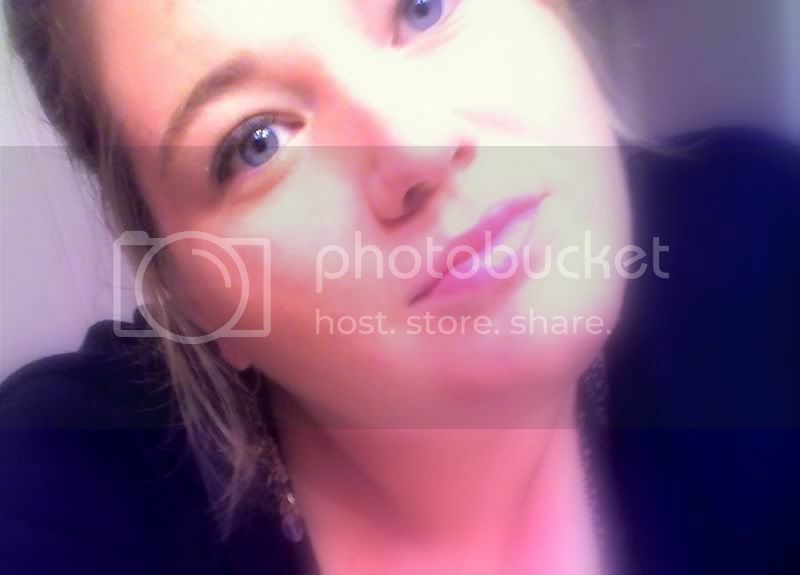 Cool new blog look! But ack! There's an "S" on the end of my last name--fix it fix it! Ok... The web blog has officially been Chick-a-fide. Matt, you must be thrilled! LOVE the new look, Emily! I love the picture of the Arch! Way to GO!! !